Tiny casted Sterling Silver tree of life dangle earrings. The tree of life encircled in a silver frame display a textured surface, yet very well polished to obtain a phenomenal shine. 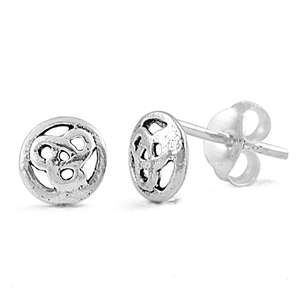 Attached to sterling silver french earring hooks, these pair of tree of life earrings are popular jewelry for their significance and beauty. 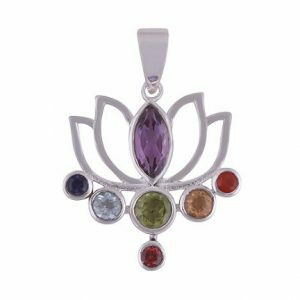 The finest sterling silver & gemstone jewelry! With its branches reaching into the sky, and roots deep in the earth, the Tree of Life bridges life above and below with the present. It represents family, prosperity, and knowledge – a precious symbol to remind us of our connection with each other and the universe. 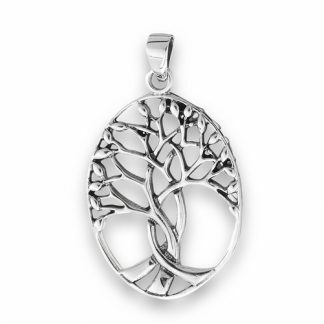 Sterling silver is the brightest of all the precious metals. Over the years, the popularity and value of sterling silver has never faded. 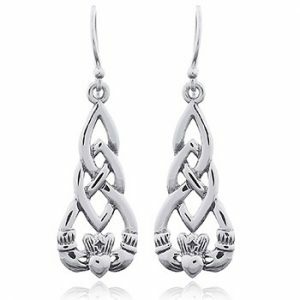 Today, more than ever, the jewelry industry has made way for more choices among sterling silver jewelry designs. We are proud to bring our collection to you. Stones of all kinds have played a very important part of the history of humans. Be sure to shop our beautiful selection of gemstone and sterling silver earrings. We carry a lovely selection of Amethyst, Turquoise, Onyx and more!